The Vancouver Condo Buzz » GET ON THE UPCOMING SALES LIST! Introducing the Intracorp SILVER Burnaby Condo High-Rise on Beresford Street > 38 Storey Landmark Metrotown Burnaby SILVER Tower Launching! 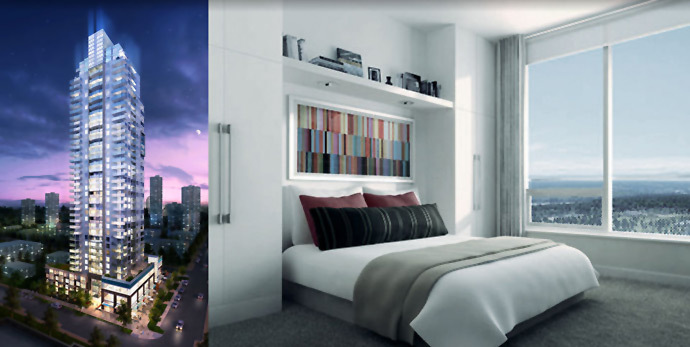 « SPECTACULAR LAUNCH > Granville at 70th Vancouver Condo Towers by Westbank from mid $400’s > West Side Vancouver Granville & 70th Condominiums, Townhouses, Cornish Estates > 2 Towers, Spectacular Townhomes & Safeway > REGISTER NOW! GET ON THE UPCOMING SALES LIST! Introducing the Intracorp SILVER Burnaby Condo High-Rise on Beresford Street > 38 Storey Landmark Metrotown Burnaby SILVER Tower Launching! The newest addition to the Metrotown Burnaby real estate market is coming in early 2012! Introducing Intracorp’s SILVER Burnaby condo tower, a 38 storey high-rise just steps away from the Metrotown SkyTrain station in addition to all the local conveniences and community amenities that this neighbourhood offers. Ideally situated in one of the best locales in Greater Vancouver, the Metrotown Burnaby SILVER Condos will be situated right along Beresford Street and the project will involve not only the construction of the high-rise residences, but also an upgrade to the blocks’ urban appeal and streetscape. With great views and modern architecture, the Burnaby SILVER Metrotown condos will present spacious urban living with cantilevered balconies and great finishes. The Beresford Street and Silver Avenue Burnaby real estate district is very close to lots of highlights that include Metropolis at Metrotown with T&T Supermarket, Real Canadian Superstore, Coach, Sephora, Armani Exchange, Zara, Guess and Chapters. In addition there are lots of big box retailers around the Burnaby Metrotown real estate district. The SILVER Burnaby condos will also be close to established green spaces and park areas, community centres, recreational facilities and world class dining. Also nearby by the new Burnaby SILVER condo tower is Station Square Mall where you will find over four hundred shops and services including Save on Foods, Future Shop and TD Canada Trust. From Deer Lake Park to Central Park and for the Bonsor Recreation Centre to the Central Park Pitch & Putt, there is plenty to do around the new SILVER Burnaby condo high-rise so that your life remains fulfilled. The interiors at SILVER Burnaby condos for sale will include composite stone kitchen counters as well as Maytag 30” (2 bedroom) or Blomberg 24” (one bedroom/flats) fridge/freezer in stainless steel finishing. Also, there are built in hood fans (stainless steel) and Fulgor 30” self cleaning glass front wall oven and a Fulgor smooth top ceramic cook top in a nice black sleek finish colour. The Burnaby SILVER Condos in Metrotown will also have full height composite stone backsplashes in addition to contemporary/modern styled Armony Cucine Italian cabinetry with uppers in high gloss lacquer and lowers in vertical grain laminate wood. There is halogen under the cabinet puck lighting and double bowl undermount sinks as well. The new Metrotown Burnaby SILVER Condos will also present 2 amazingly selected and designed professional colour schemes in addition to Maytag stacked dryer and washer in laundry closets in every home. The SILVER Burnaby condo tower will also feature roller blinds for all windows for added privacy in addition to laminate wood floors in the living/dining, kitchen and entry as well as carpet and tiling in all the other spaces. All home buyers at the SILVER Burnaby Metrotown condos for sale will receive the National Home Warranty (standard) and the TELUS Future Friendly Home Package which will be free for twelve months! This will include a free rental of the HD PVR, wireless gateway and high speed internet service. Also, the homes at the Metrotown Burnaby SILVER Condos for sale will come with Control4 Smart Home system for home automation. The bathrooms at the Metrotown Burnaby SILVER Condos will include Hytec soaker tubs with integrated skirts in addition to porcelain tiled floors, ceramic tiled surrounds and shower splash as well as Grohe hardware. Other bathroom features at the new SILVER Burnaby Metrotown condos for sale include expansive vanity mirror, Toto dual flush toilets for water conservation and contemporary styled Armony Cucine Italian cabinetry. There is also in floor radiant heating in the main bath. Presented by Intracorp Developers, the SILVER landmark condo high-rise is designed by NSDA Architects with interiors by BBA Design Consultants. As a homebuyer, you will know that you are getting great quality at an affordable price point for the exciting Burnaby Metrotown real estate district. The high-rise tower at the landmark Burnaby SILVER condos will be of concrete construction with exterior brick and stone cladding and lots of glass. There are expansive balconies and outdoor living spaces that extend the living spaces outward efficiently. In addition, the new Burnaby SILVER condo lobby is modern and will be double height. There will be public art in the courtyard designed by Visual Artists. The central condominium amenity spaces on site include a full fitness gym as well as an outdoor work out equipment and patio. There is also a clubhouse lounge with catering kitchen at the Metrotown Burnaby SILVER condos in addition to an outdoor terrace deck and outdoor BBQ areas. The Burnaby SILVER Condos in Metrotown will also have secured underground parking and bike storage as well as a children’s play area and 3 car wash bays. The new Metrotown Burnaby condo tower is also pet friendly with a dog wash area on site. All of the common areas and elevators will have key fob security and the parkade entry and lobby entrance will have a video interphone system. The new SILVER Burnaby Metrotown condo tower is designed by NSDA Architects and will incorporate street level townhomes and retail/commercial space along the grand level in addition to the construction of the high-rise tower. Along the streetscape will be pedestrian oriented boulevards and sidewalk cafes. Inside, the Metrotown Burnaby SILVER condos will be designed by BBA Design Consultants, another award winning firm. The builder is Intracorp. The Burnaby Silver by Intracorp will present one, two and three bedroom tower residences plus spacious townhouses with a starting presales price point from the $250’s. Silver at Metrotown Burnaby real estate development is a shining example of modern architecture that will see the construction of one of the tallest residential towers in the area. With an amazing design and floor plans that are suitable for all types of homebuyers, this is the project you want to see. The new Intracorp SILVER Condos in Burnaby real estate market will be eco-sensitive and sustainable homes with LEED Silver equivalency in building standards and materials used in construction. There are thermally broken, double glazed aluminum windows with enhanced Low-E glazing throughout, high performance building envelope which reduces the overall energy consumption of the building and its residents. The new SILVER Burnaby condo tower will have high efficiency plumbing fixtures, electric vehicle plug ins for some homes and two strata owned electric vehicles on site. There is adaptive vegetation with high efficiency irrigation systems and low E materials, adhesives and sealants used throughout. The LEED Silver equivalent Intracorp SILVER Burnaby condos will also have parkade lighting controlled with occupancy sensors. Above all, the 38 storey Burnaby landmark tower at SILVER by Intracorp will be located at Beresford Street in Metrotown district where everything is within walking distance. In addition, public transit routes, SkyTrain and bus depots are also within a short walk away from the SILVER Burnaby condos for sale. Following the sell-out of MetroPlace, Intracorp Developers is excited to introduce Silver at Metrotown, the newest residential community in Burnaby near Metrotown neighbourhood. Coming early 2012, Silver Burnaby condo tower brings together the best of Metrotown urban living including: 38 storeys of stunning views; A great location just steps to shopping and transit and only 15 minutes to downtown Vancouver in addition to a sleek and stylish urban architecture by NSDA Architects. Inside, home owners at the Silver Burnaby Condo tower will find technologically-advanced living with cutting-edge features throughout your home and the building designed by BBA Design Consultants. Be one of the first to experience the Beresford Street transformation, the new downtown heart of Metrotown Burnaby real estate market. Aptly named the Burnaby SILVER Tower because of its location at Beresford Street and Silver Avenue near Metrotown district, the newest Intracorp high-rise residence will be a 38 storey residential tower just steps away from the SkyTrain Line. With spectacular panoramic views in addition to spacious cantilevered balconies and a close locale next to amenities and services, the Metrotown Burnaby SILVER Condos are a must-view for Lower Mainland condominium buyers. With over 450 shops within walking distance at SILVER Metrotown Burnaby condo tower such as Future Shop, The Bay, HomeSense, Winners, Chapters, T&T Supermarket, Real Canadian Superstore as well as big box retailers and boutique stores, the area is booming with excitement. Also next door are plenty of recreational amenities that include Central Park, Deer Lake Park and the Bonsor Recreation Centre. For families, the new SILVER Burnaby condo tower is near great schools as well as the Burnaby Public Library. The expected starting pre-sales pricing is set to begin around the mid $200’s. Located in Metrotown real estate market, the Burnaby SILVER condos is located along the transformed Beresford Street corridor. Silver Burnaby condos is a striking thirty eight storey residential condominium tower high-rise that will offer a wide variety of smartly designed urban homes by Intracorp. Catered to many different lifestyles including first time homebuyers to investors and empty nesters, the pre-sales for the Burnaby Silver Metrotown condos is set for early 2012. Close to the Metrotown Skytrain station and the planned revitalized transit station, the Silver Burnaby condos for sale will provide very easy access to all parts of Greater Vancouver. This is exceptional news for those who work or study in Burnaby or elsewhere as it means that you can get great quality homes at a fraction of the price compared to downtown Vancouver condominiums. But that’s only part of the Silver Burnaby condo location story. Silver Condos is situated to take full advantage of the very popular area of Beresford Street. Surrounding this new pre-sale Burnaby Silver condo tower is Metropolis at Metrotown with over 450 stores ands services in addition to having 2 large supermarkets. If you don’t want to shop or walk around Metrotown for whatever reason, Crystal Mall, Station Square, the Public Library and some of the best parks are located within a short walking distance from the entrance at the Metrotown Burnaby Silver condo tower. Also, Central Park, Deer Lake Park, Swangard Stadium and numerous other recreational areas surround the new Silver Burnaby condos. 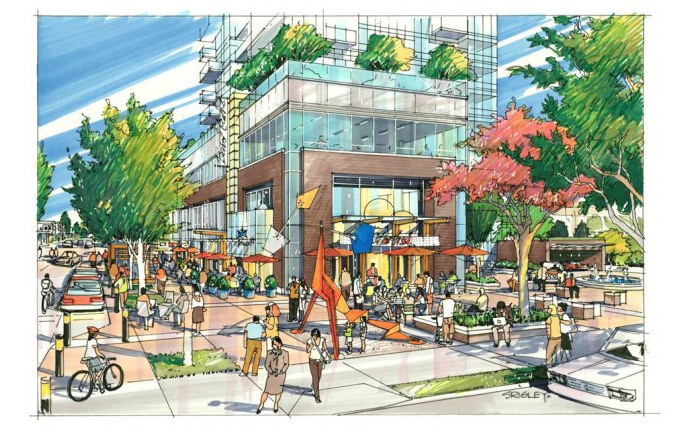 This is the neighbourhood of tomorrow in the Lower Mainland, with pedestrian oriented pathways, boulevards, street side cafes, installations, and great shopping. By honouring both its history (at the historic Mowat House craftsman turn of the century home) and seizing the neighbourhood of tomorrow mentality, you can be a part of this transformation at the Intracorp Silver Burnaby condos which also features stunning views and striking architecture by Richard Henry Architect and NSDA Architects. 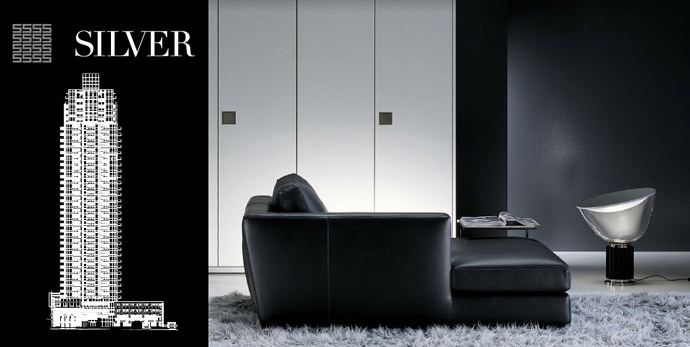 The interior design of the new Intracorp Silver condos is by BBA Design Consultants. The high-rise tower will be located on top of an impressive four storey podium which is modern and urban chic. The natural materials and expansive glass make the new Silver Burnaby condo addition a pleasant surprise to the Beresford Street Metrotown corridor. There is a stacked brick pattern incorporated into the lower façade that gives it more contextual feel and uniqueness. 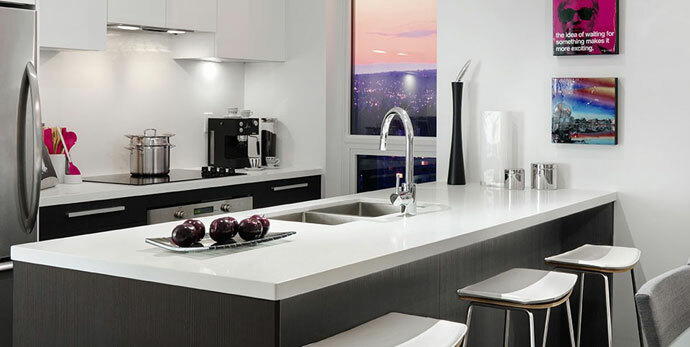 Inside, the state of the art Silver Burnaby condos by Intracorp are impressive with Armony custom Italian cabinets and Maytag/Fulgor appliance sets. This project follows the success of the Intracorp MetroPlace Maywood Burnaby condo tower. Owning a home at Silver Metrotown Burnaby real estate district will mean: Coveted location. Steps from Metrotown, Crystal Mall and SkyTrain, only 15 minutes to downtown Vancouver. The Beresford Street transformation continues. The evolution started with MetroPlace and continues with Silver by Intracorp in Metrotown Burnaby real estate district. This will truly be the neighbourhood of tomorrow. And you can be among the first to own. Technologically-advanced living with cutting-edge features throughout your home including a Control4 Home system to link and control the lighting and electronics in your new Burnaby home. Register now and you will receive updates as soon as new information becomes available. Homes at the pre-construction Burnaby Silver Metrotown tower will be available for purchase within the next couple of months. 1 bedroom, 2 bedroom and 2 bedroom + den tower residences and new Burnaby Silver townhomes from the mid-$250,000s. Register now at silverliving.ca.